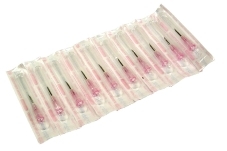 Disposable Needle. 16 Guage. 1" pk 100 Suitable for Antibiotics for cattle.